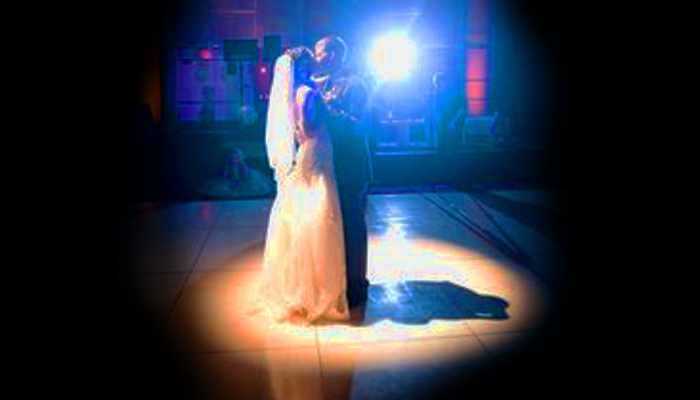 Break-up lighting uses stencils (Gobos) to project images, textures and patterns onto the walls or floor of a venue. This can be used to provide gentle illumination, avoiding the need to use any in-house fluorescent lighting. We can project a number of patterns including leaves, stars and snowflakes or even custom words and images such as the initials of the Bride & Groom. Fairy lights are a favourite decoration for wedding venues. They can be used as a backdrop for your top table, hung over windows or used to create a corridor of light in entrance halls. 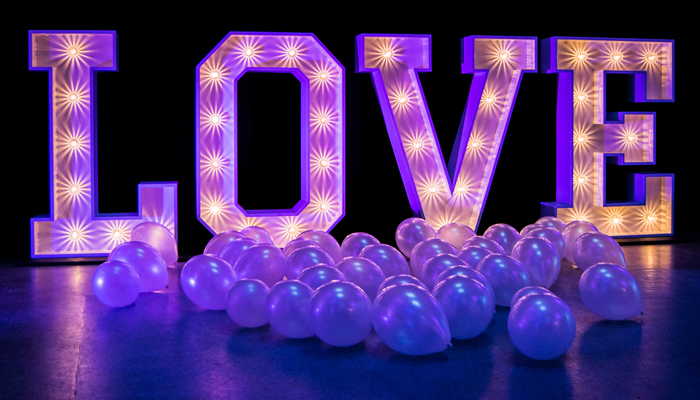 We think they look great when used as a backing to our giant illuminated LOVE letters. 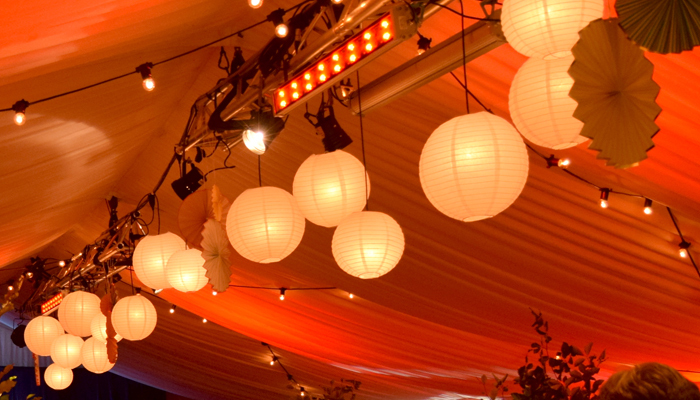 Globes are a really effective way of adding an extra element of interest to your venues lighting scheme. Supplied either in classic white or coloured to match the theme of your event. 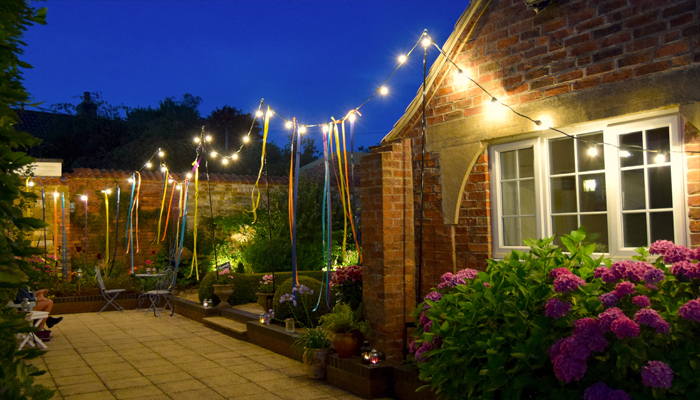 They are an ideal addition to festoon but can also be hung individually as required. 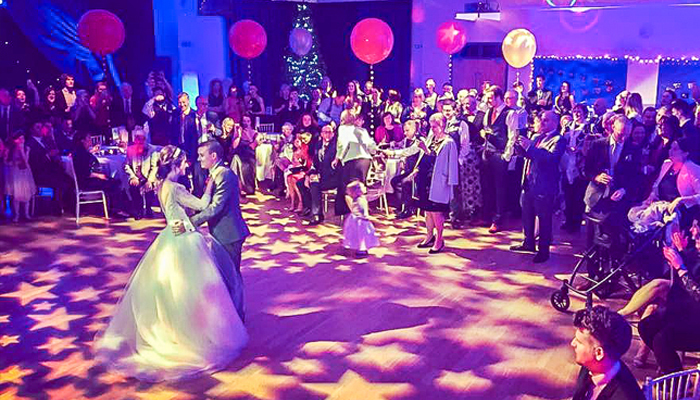 If you want to ensure that you are always 'in the spot light' for your first dance then why not hire a follow spot and operator. This way the light can follow you around the room no matter how elaborately choreographed your routine is. 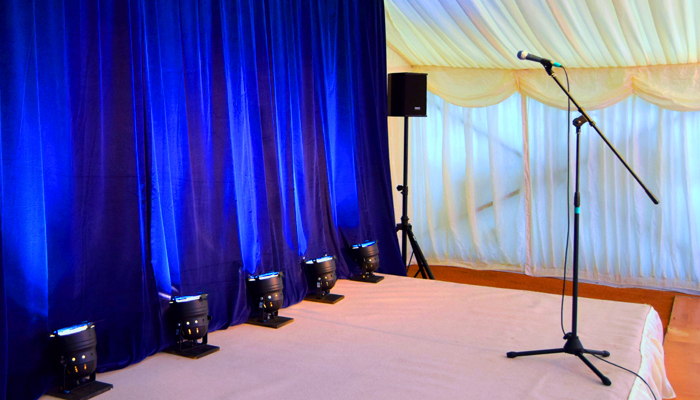 Party lighting systems are available in a range of sizes to suite your venue. 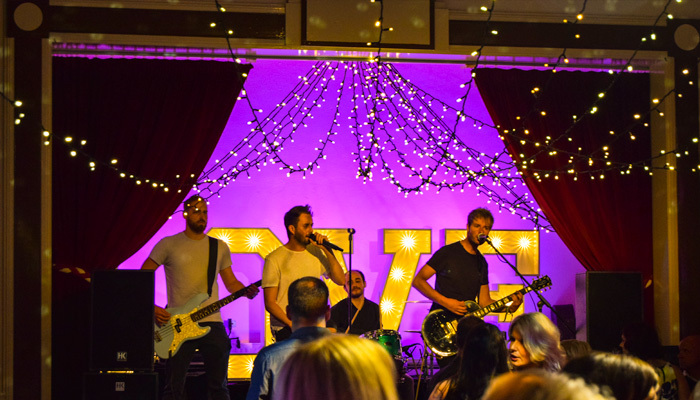 We offer smaller kits on a single lighting stand that are simply 'plug and play' - ideal for a DIY disco; As well as larger club style systems that can be customised for your event. 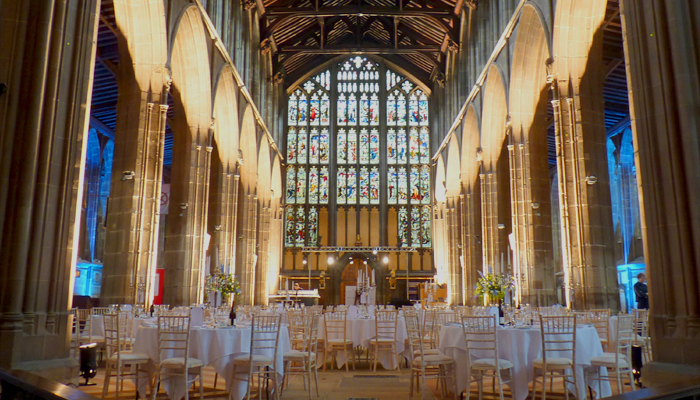 We can provide compact & discreet PA systems for ceremony music, background music and speeches. Larger systems are also available for bands and DJs. All of our systems come with iPOD or laptop connections as well as a microphone. 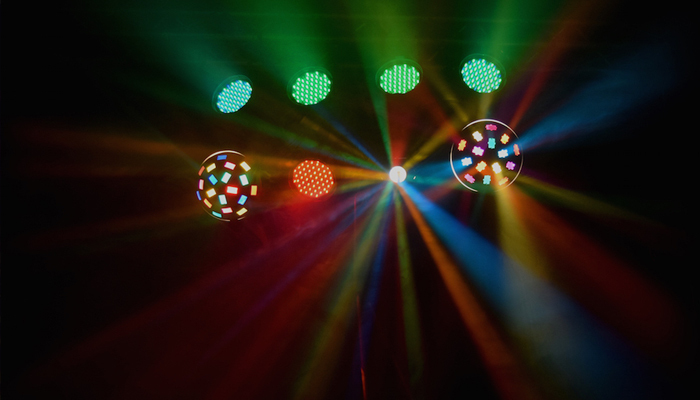 Why not also hire one of our party lighting systems for a DIY disco?